Where technology is involved, computers are not far away. Analogous to their real development, their representations in film and TV are also changing – as is of course the case with Star Trek. They serve as communication partners, partly have their own consciousness or, as artificial intelligence with a lack of empathy, are the weak point in a seemingly perfect system. In more than one case, malfunctions or human errors in the handling of computers lead to dangerous situations. The ship’s computer in particular is always the focus of attention, but even foreign technologies often have consequences. 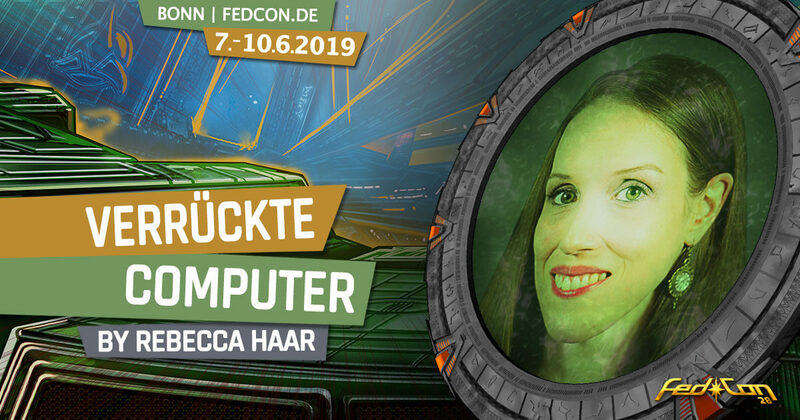 The lecture Crazy Computers by Rebecca Haar at FedCon provides an incomplete but fascinating cross-section of computers, errors and visions through all Star Trek series.